Students pair up and take turns picking a card. Thety read the question aloud and the other student talks for one or two minutes about the topic. The upload has two pages! The above downloadable handout is meant for high school students, elementary school students and adults at Pre-intermediate (A2), Intermediate (B1) and Upper-intermediate (B2) level. 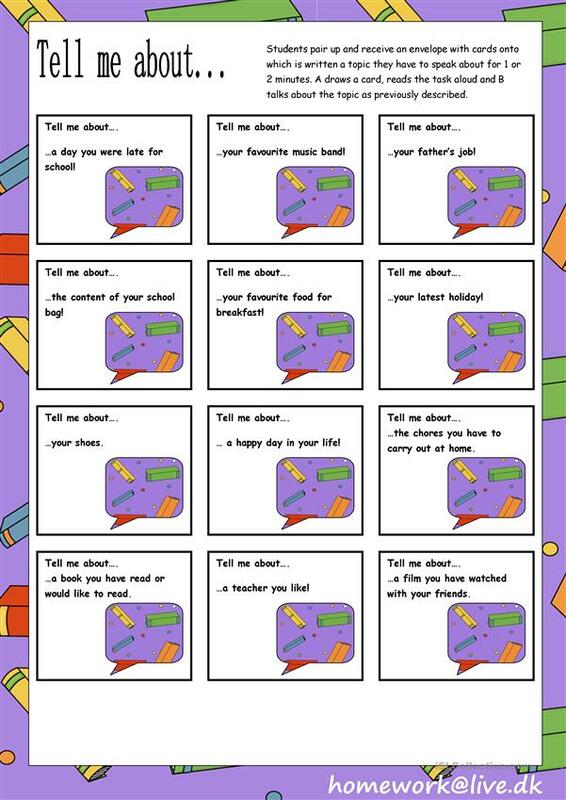 It is useful for strengthening your class' Listening and Speaking skills.